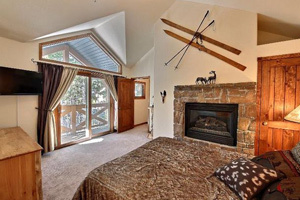 Find your own ski in and out by owner rental in Breckenridge -click on this link! By Owner Rentals - Want to do a by owner search for yourself? Check VRBO/Homeaway! Do a petfriendly search! 5 Star - Village at Breckenridge Peak 9 Inn Studio, King Bed, Ski-in/Out, Views - Studio, 1 bath, Slps 4- ave. nightly $188/nt - Book it! VRBO 444770 - LOCATION! LOCATION! LOCATION! The best location in town! 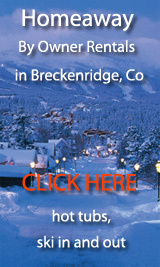 'Where Breckenridge meets the mountain', is the motto of The Village at Breckenridge Resort. A true SKI-IN/SKI-OUT resort! Go out the back door of the building and you are at the Quick Silver Lift on Peak 9. Go out the front door and you are only steps away from Historic Main Street with restaurants, bars and shops. Once you park your car in the heated garage, there will never be a need to move it! •	Check-in at the front desk in the lobby of our building. **NO offsite check-in required. •	Excellent front desk services throughout your stay, staffed 24 hrs/day. •	Ski/snowboard storage at the front desk. •	FREE on-site shuttle service to anywhere within Breckenridge. •	First Track's Friday ... access the mountain one hour before it opens to the general public with a valid lift ticket on select mornings mid December through the end of March. Luxury Peak 9 Inn Studio, Ski Area Mtn Views, Ski in/Out, Rare Corner Condo - -Studio, 2 bath, Slps 4- ave. nightly $195/nt - Book it! 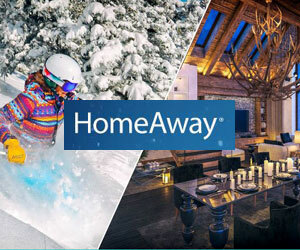 Homeaway 926673 - Complete Remodel July 2015! 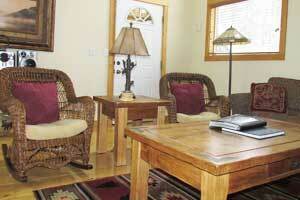 The Village at Breckenridge Peak 9 Inn Studio, Sleeps 4. Indoor Outdoor Pool, Hot Tubs, Dry Sauna, Steam Sauna, Ski Locker, In Town, next to the Shops and Restaurants. No need to drive or take a shuttle. You are within walking distance to everything. Winter Activities: Sledding, Skiing, Ice Skating, Sleigh Rides, Snowmobiling, Dining, Shopping and many more events. 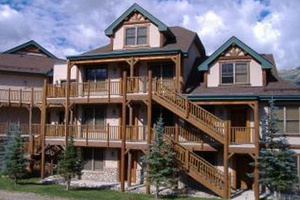 The Moose Condo - Ski-in/Ski-Out - Premier Location - Cozy Deluxe Condo Sleeps 5 -1 Bdrm, 1 bath, Slps 5- ave. nightly $197/nt - Book it! VRBO 489226 - Nestled at the foot of Breckenridge's majestic Peak 9 and historic Main Street, our second home is affectionately referred to as 'The Moose Condo' due to its family-friendly moose decor. WHEELCHAIR ACCESSIBLE The Moose Condo is conveniently located in the newly refurbished Village at Breckenridge lodge complex, and showcases fabulous views of Maggie Pond, the Blue River, historic Downtown Breckenridge, and of course, the majestic Rocky Mountains. BEST VALUE FOR SKI-IN / SKI-OUT LOCATION CLOSE to DOWNTOWN with DELUXE RESORT AMENITIES! Ski: $225/nt, 2 BR 2 BA, Hot Tub, Deck, 1/2 Mi Town/Lifts! -2 bedroom, 2 bath, Slps 6- from $224/nt - Book it! VRBO 52195 -PETFRIENDLY Spacious 1050 sq. ft. luxury 2 Bedroom, 2 Bathroom apartment in the exclusive Wiesshorn section, located less than 1/2 mile from the town. At the end of the street (200 feet) avail of the local bus to bring you in to town or to the ski lifts! It is fitted with a open plan kitchen with high end appliances, a dining room that seats six & with a kitchen bar seating 3. The apartment sleeps 6 comfortably, with a king size bedroom, queen bedroom and queen sofa sleeper of hotel quality for maximum comfort. The bedding is top of the line, high thread count for your enjoyment! Just off the kitchen, enjoy some relaxing time on the deck equiped with a BBQ grill, brand new hot tub, patio table & chairs. Jump on the new Gondola in town just a short distance away for a great day of skiing. 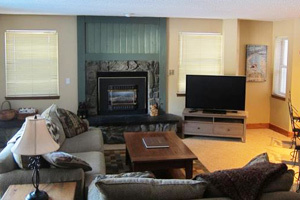 Ski-in/ski-out Breckenridge 2BR - on ski run -2 bedroom, 2 bath, Slps 6- from $100/nt - Book it! 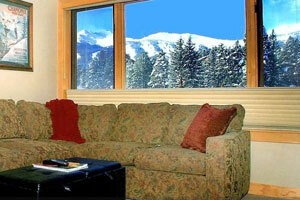 Trip Advisor Listing #FKN2070711-This is the perfect place for your Breckenridge vacation! 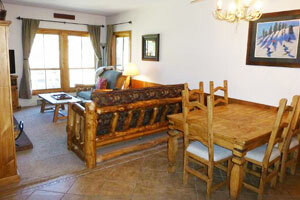 It is a ski-in/ski-out, two-bedroom, two-bathroom condo that is located directly on the Four O’Clock ski run. This is a first-floor condo with a rare, large patio where you literally walk down the steps, step into your skis or snowboard, and coast down to the Snowflake lift. It’s just as easy to come home for lunch or for après-ski on the patio with the afternoon sun. This condo is also on the end of the complex, which provides for lots of natural light and additional outdoor space. Fantastic Mountain Views from Private Hot Tub! -2 bed, 2 bath, slps 8, from $160/nt - Book it! Trip Advisor Listing #FKN2196354-This beautiful two bedroom two bath condo is within walking distance to the Peak 9 ski area base and downtown. The Peak 9 base area is home to the Breckenridge child care center, ski school and Quicksilver super chair. The unit is on the corner of Main Street and Broken Lance Drive. It is a 3-5 minute walk to the south end of Main Street where you can begin your stroll down Main street to find lots of shopping and restaurants. 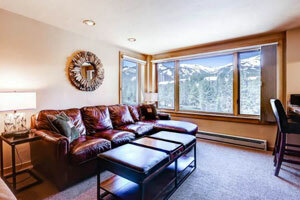 BRECKENRIDGE LUXURY CONDO 3BR/3BA SLEEPS 9 - 3 bed, 3 bath, slps 9, from $330/nt- Book it! Trip Advisor Listing #FKN2292777-From the end of the drive, it's about one hundred skiable yards on a flat trail to the Snowflake chair lift. Ski home using the same route from the Snowflake trail. The Breck Freeride shuttle bus stop is less than 5min away for those who wish to start their day further afield. Main St Breckenridge is a 10min walk away. In side you will find all the luxuries of home. Tastefully decorated this 2 level condominium comfortably sleeps 7 in its three bedrooms, with the option of an additional 2 guests sleeping on a full sized sofa bed in the living room. 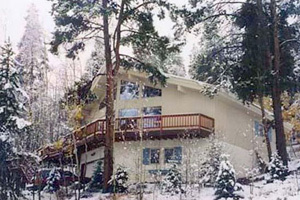 Haus Bergwald nestled on the side of Peak 7 --5 bed, 3 bath, slps 10, from $309/nt- Book it! Trip Advisor Listing #FKN3740562-Imagine soaking in our large hot tub/spa, after a day of skiing, with snow falling all around the glass-enclosed sunroom protecting you from the elements! From this private perch you'll see lots of trees, mountains and, if lucky, a fluffy red fox, mule deer, elk or moose. High in the Rocky Mountains overlooking the historic, mining town of Breckenridge, Haus Bergwald stands on a sunny slope beneath aspens and pines. Privately owned and offered by owners, Haus Bergwald allows visitors plenty of room to enjoy comfortable togetherness or relaxing privacy.